Air conditioning, sales, installation and maintenance - Glacier Mechanical Technologies Ltd. Choose Glacier Mechanical for all of your home cooling needs. 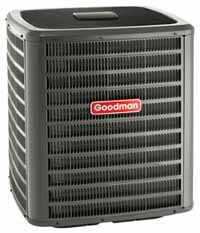 Our professional staff will help to select the right size air conditioning unit for the right price. We sell the most efficient air conditioning units available on the market with SEER levels of 13 to 18, and we will make sure you have years of trouble-free use with our professional installation. ​We can recommend the right solution for your budget, your home's size and your energy efficiency. Call us for a free no obligation quote. Glacier Mechanical can provide service on any piece of equipment, even under warranty. We can also provide installation on almost all types of equipment. If you are looking for a product that you do not see listed please call us for details.